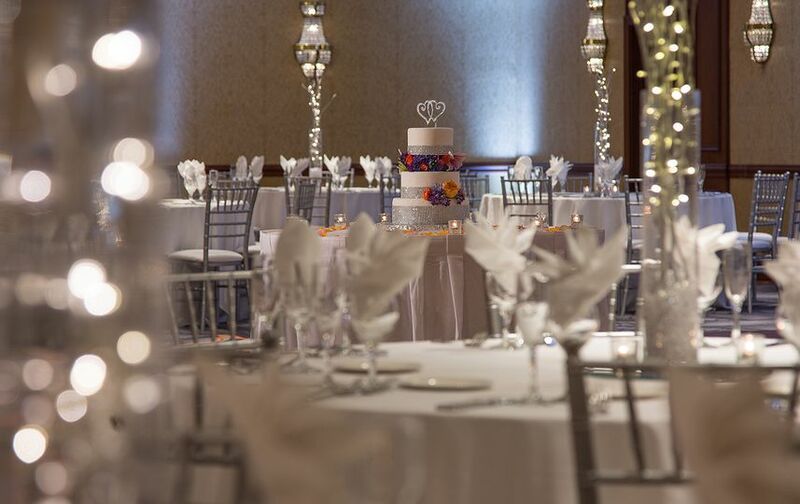 Hilton Chicago/Northbrook is a wedding venue located in Northbrook, Illinois that has over 35 years of experience in the North Shore. 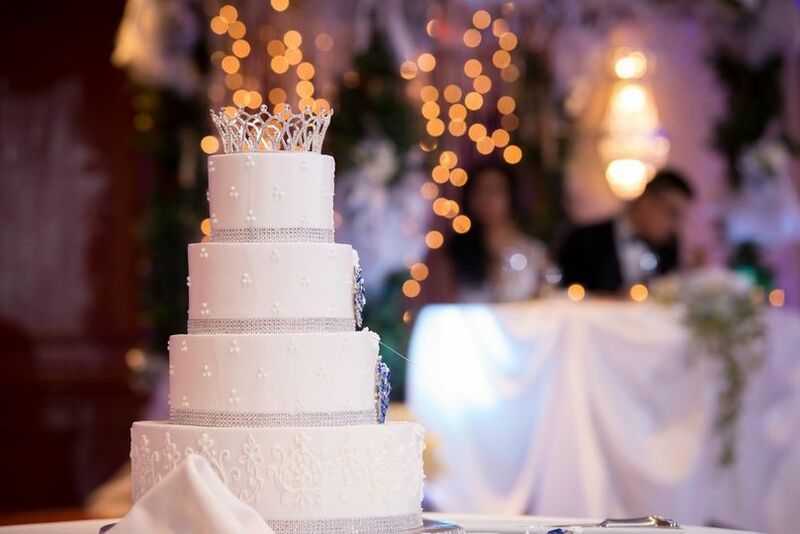 With intuitive service and catering from Allgauer’s Restaurant, this venue is perfect for creating the wedding of your dreams. 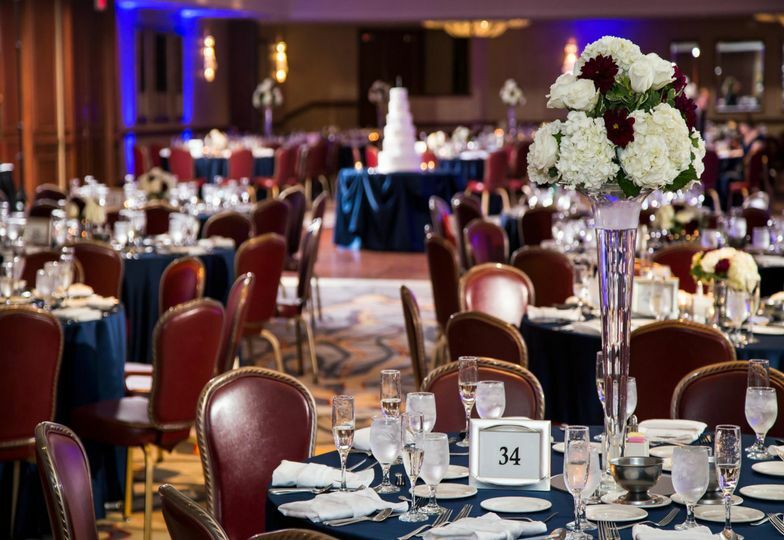 At Hilton Chicago/Northbrook, you can choose from several ballrooms and event spaces that have stunning decor and over a combined 18,000 square feet of space. 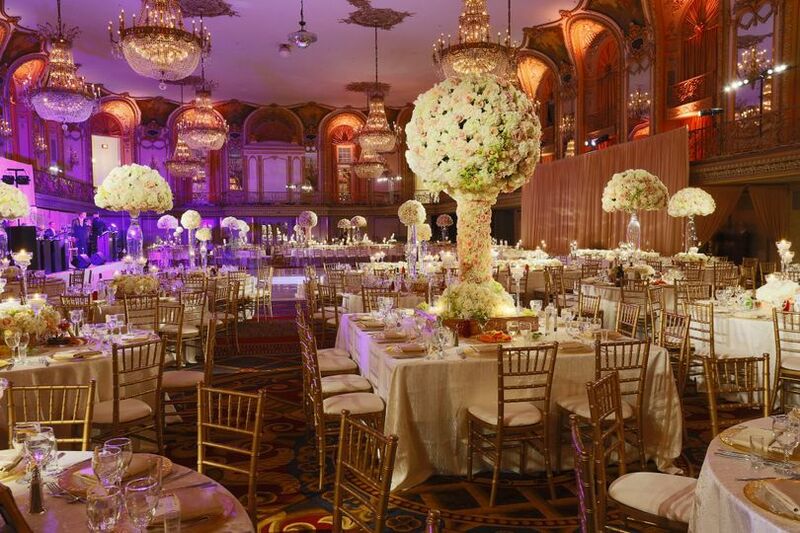 The Grand Ballroom accommodates 500 guests and also features a Garden Terrace cocktail reception area. They also have a beautiful gazebo for ceremonies and 248 beautiful guest rooms and suites for you and your guests. Chefs from Allgauer’s Restaurant will prepare delicious hors d’oeuvres and plated dinners for your special night, offering a wide variety of options to suit all palates. 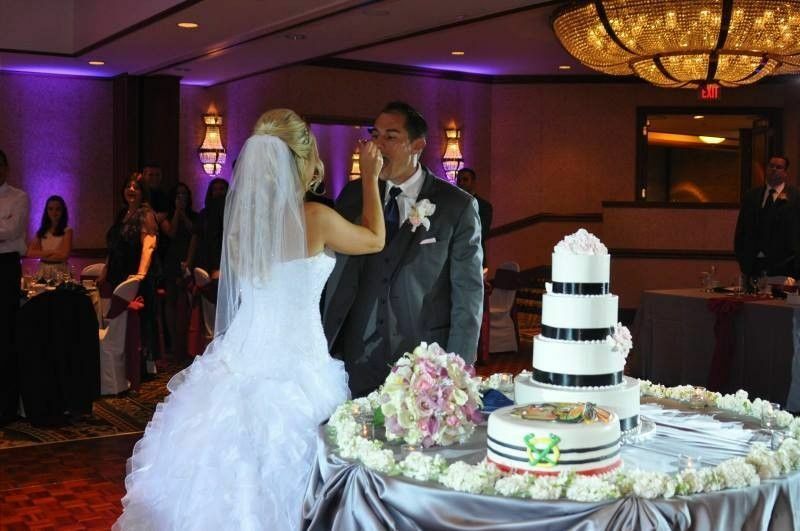 Their packages include a delectable four-course meal and custom designed wedding cake. They will also work with you to create a customized menu if needed. We booked the Hilton Northbrook for our wedding a reception, and Kesha helped with the event organization and planning. Everything was great! The venue is excellent, with beautiful, open spaces and friendly staff. Considering all the amenities, the cost is reasonable. Kesha helped us plan all the details, with good organization and clear options. She basically served as a complimentary wedding planner, and we appreciated personalized touches she made on the day. The food tasting was fun, and all the options were delicious. They were flexible on customization of dishes, and they offered customized bar options for additional cost. We planned an outdoor ceremony, but it rained on the day. Fortunately, they had a backup plan and there was no disruption at all. 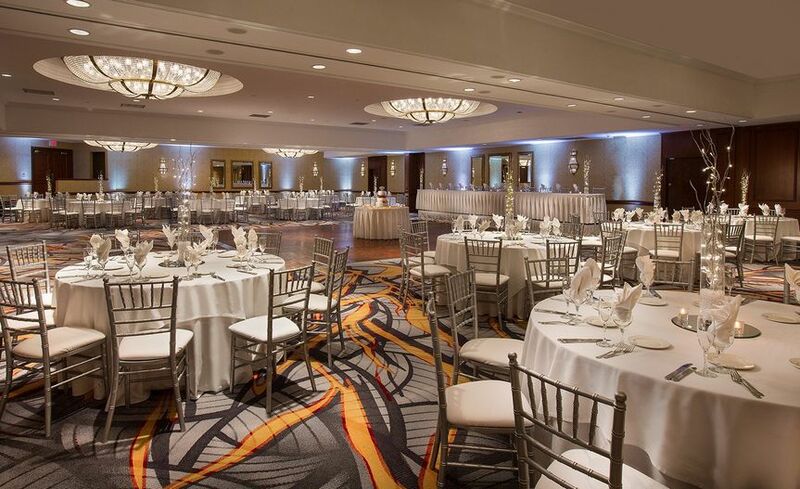 The Hilton Northbrook has everything streamlined, with the ceremony, cocktail hour, dinner, and reception, so it is very convenient for out-of-town guests. We keep hearing from guests how wonderful they thought everything was and what a great time they had. We highly recommend! 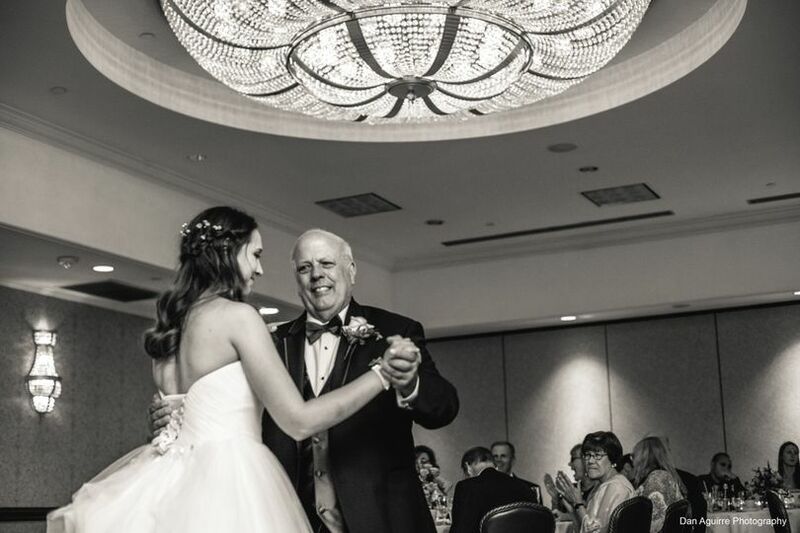 My husband and I had our wedding at the Hilton on 9/9 and everything was absolutely amazing! We actually had all of our wedding festivities there - rehearsal, rehearsal dinner and breakfast the day after the wedding. I am 100% happy with our decision on this venue. We originally started out with Katie as our coordinator, who was great and then after she left, we started working with Kesha. She hands down made our wedding day the success it was! I cannot say enough wonderful things about Kesha. She is extremely nice and patient and SO detail oriented! The wedding planning process was so easy with the help of Kesha. She helped me keep track of all the little details that I didn't even think of. All of the staff at the Hilton were great and provided wonderful service the day of the wedding. Also, the package with the venue included the catering, bar, cake and the basic decor (mirrors, votive candles and table numbers) which was perfect because we did not do much more than that. The thing that I loved most about the Hilton Northbrook was the gazebo outside. We did our ceremony outside in front of the gazebo, as well as our first look and most of our family/bridal party pictures. Overall, we are extremely happy with our experience, from beginning to end. 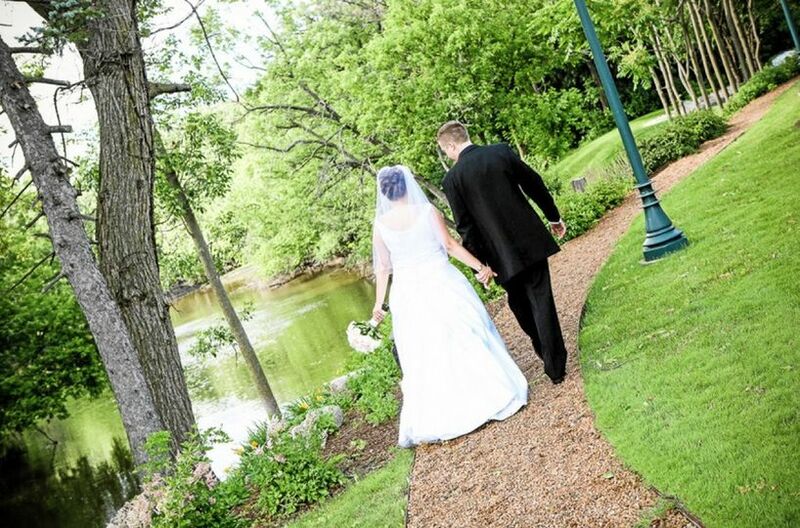 We are grateful to the Hilton for helping make our wedding day perfect! 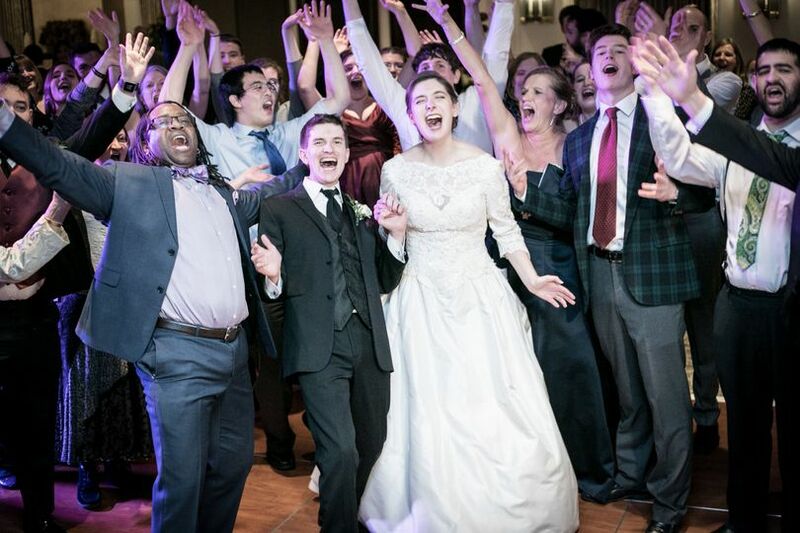 Many thanks to all involved in our daughter's wedding celebration. I think the Hilton Chicago/Northbrook provided the WOW factor! 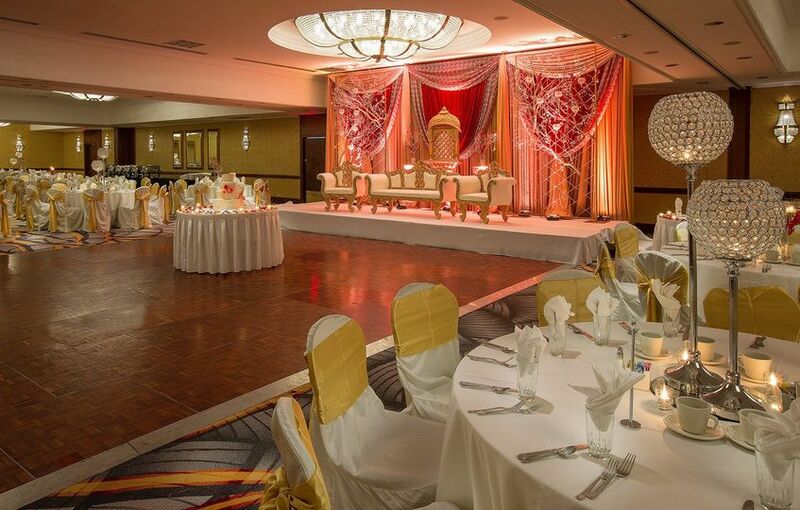 We were delighted with the room presentation, the tables and chairs were beautiful, the set up just as planned. The food service, and the quality and presentation of the food was spectacular. I cannot tell you how many compliments we received from our guest. The types of comments included how good the logistics of the food service was, how good the food tasted and it was served hot. The hotel rooms were nice, and the staff throughout the hotel were kind and helpful. The cocktail room looked lovely & we really appreciated Alex's and John's AV services of keeping the video a surprise. We (parents of the bride) were so pleased that our guests had such a wonderful time. The grooms family and ours liked the shuttle service which we used to the church and the rehearsal dinner. I truly appreciated the extras -- like letting my sisters & friends use the gathering room on Friday night. It was so nice to have access to additional rooms to get ready in rather than try to use a room that was really occupied by a guest. We appreciated being able to work with the staff to arrange a send-off breakfast for all our family and friends. The planners were very helpful in explaining what could be done within our budget. Even the breakfast exceeded expectations. Our entire week end went very smoothly and of course our guests were pleased and impressed! Thanks to everyone involved. Package Pricing are Subject to an 11% tax and a 22% service fee. 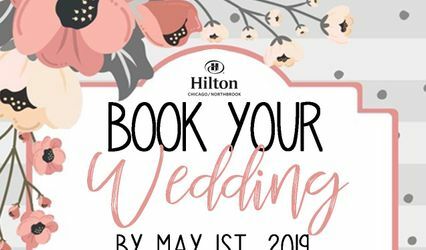 Promotion is only valid for Weddings taking place prior to December 31, 2019. Promotion cannot be combined with other promotions or exchanged after contracting. Charizma loves doing events with Hilton Chicago Northbrook! They have plenty of rooms and spaces for cocktails, ceremonies, receptions, and more. They have now even added an outdoor area for ceremonies! We have used their venue for our annual showcase, we have done their New Years events, and they are always wonderful to work with. 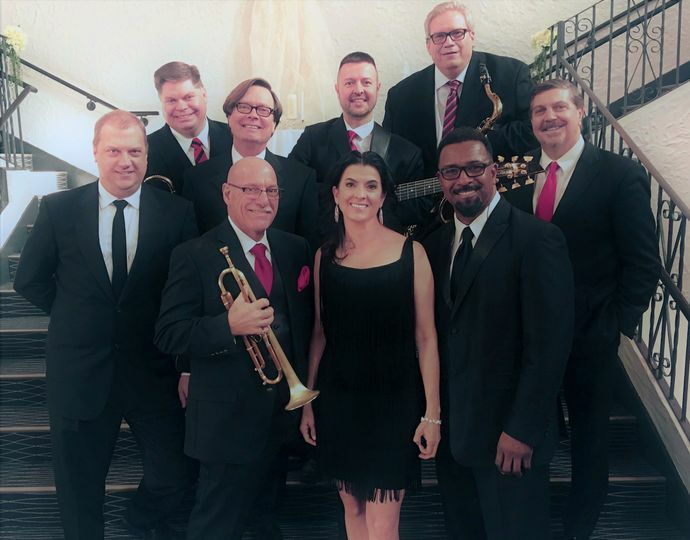 Their staff are all very friendly and great to work with and they really know how to act as a team with all of their vendors for an event. Highly recommended! 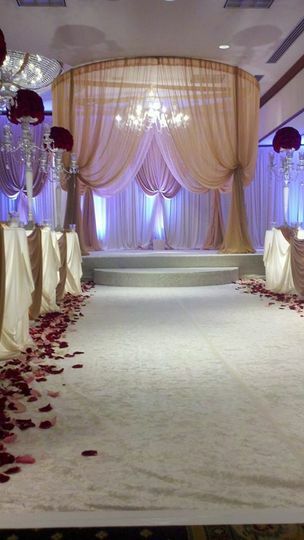 Elegant, professional....everything you want for your special day!